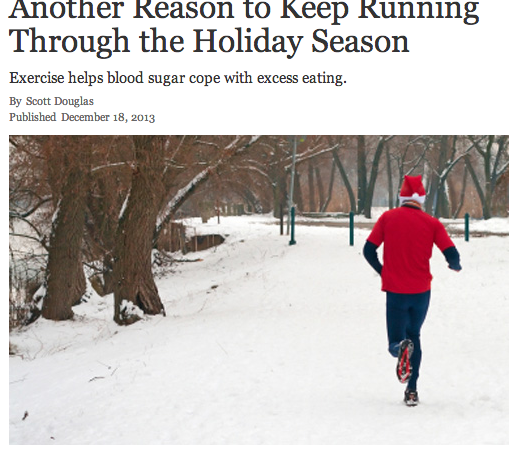 I found something interesting about why running in the holiday season keeps us healthy. It helps control you blood sugar and fat cells into a healthy range. You could find more information about running through the holiday season: Another Reason to Keep Running Through the Holiday Season. Enjoy it and I hope that it helps you see why staying in fit helps you with your health. Running is the easiest way to get out and stay in fit.